Brain cancer. 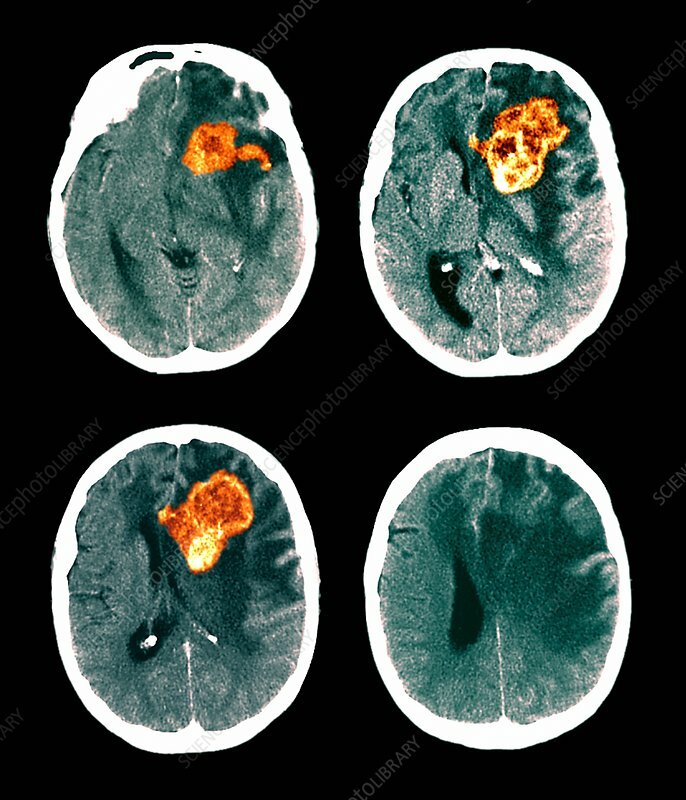 Coloured axial (horizontal) computed tomography (CT) scan sequence through the head of a patient with a glioblastoma (orange). The front of the head is at top in these views from below. The glioblastoma is in the left hemisphere of the brain. A glioblastoma is a particularly malignant brain cancer that arises from the supporting glial cells in the brain. Treatment is with a combination of surgery and radiotherapy, but the prognosis is poor. Death can occur within months. CT scanning uses X-rays to form slice images of the body.